Established in 1986 by John, Peter and Dave Herwynen, Superior Hardwood Flooring is well known in the industry for its high-grade, high-quality hardwood flooring in several species. Liberty Hardwood Floors is proud to be an authorized reseller of its diamond standard flooring products for its New Jersey customers in the residential and commercial sectors. 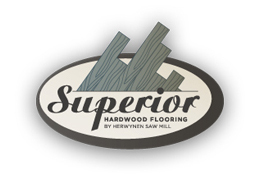 We are proud of our distribution arrangement with Superior Hardwood in the delivery of its excellent products. We assure you, our customers, not only of high-grade, high-quality hardwood flooring solutions but also of a wide range of flooring services including installation, maintenance and repair of floors, stairs and staircases. 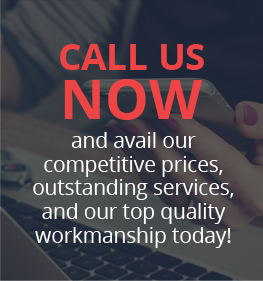 We deliver these services in a professional, friendly and courteous manner, all with the goal of providing you with the best in flooring solutions for your homes, offices, and other buildings. American black walnut, a hardwood with a deep and rich brown stain coupled with burly grain patterns. Over time, the wood develops a beautiful lustrous patina that results in a luxurious appearance. Hard maple has a very clean appearance with little grain patterns and color variation, thus, its popularity because of its consistent look. Smooth texture and even tone also characterize this hardwood, which consists of a combination of sap and heart wood. Hickory is another bestselling flooring product from Superior Hardwood Flooring because of its medium grainy look, wide variety of colors, and ease of staining, thanks to its white to creamy coloration. Northern red oak has a more natural color variation and more open grain patterns, as well as a more affordable price than cherry. Its wide color selection coupled with a low-sheen finish is due to the fact that it easily stains. Choices in color patterns include Praline and Cognac. White ash flooring has a strong grain pattern, plenty of natural color variations, and a livelier appearance. Choices in color variations range from dark brown to pale straw and almost everything else in between. White oak is a highly valued hardwood because of its excellent strength, density and resiliency – truly, a good investment in homes and offices especially for interior finishes, martial arts weapons, and furniture. It is also durable, thanks to its high resistance to insects, fungi and mildew, as well as attractive grain patterns suitable for virtually all flooring designs. As a reliable manufacturer of high-grade, high-quality hardwood flooring options, Superior Hardwood Flooring also offers several finish options. Choose the finish option that best suits your vision in design, such as semi-gloss for living areas and low sheen for kitchens. Semi-gloss finish has a livelier feel, thus, adding a lighter appearance to the room. Low sheen finish is suitable for high-traffic areas since it can more effectively hide bruises, bumps and dents on the floor. Just remember that finish is as important as color, grain patterns, and durability so ask us for more information about the best type of Superior Hardwood Flooring products for your New Jersey home and office.